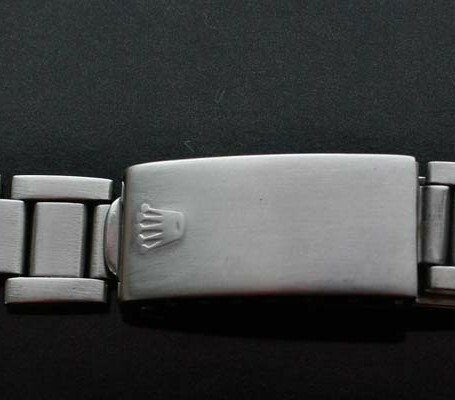 Genuine Rolex 19 mm folded Oyster bracelet. 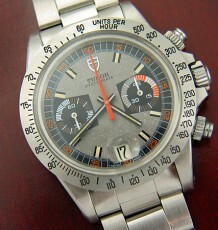 Date stamp for 1972. 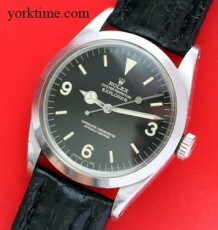 This genuine Rolex Oyster bracelet dates to 1972 based onthe date code stamped inside the steel buckle. 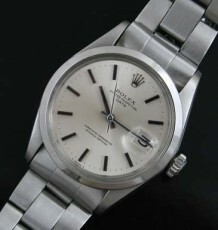 The model 7835 bracelet is the older vintage model with folded steel links and would have been the correct bracelet for such models as the Rolex Daytona 6239, 6263 and 6265, as well as the Rolex Air-King, Oysterdate, Osyter Perpetual Date and the reference 1003 also listed on our site. 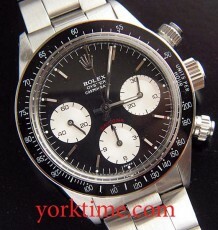 The bracelet should fit any Rolex with 19 mm lugs ends. 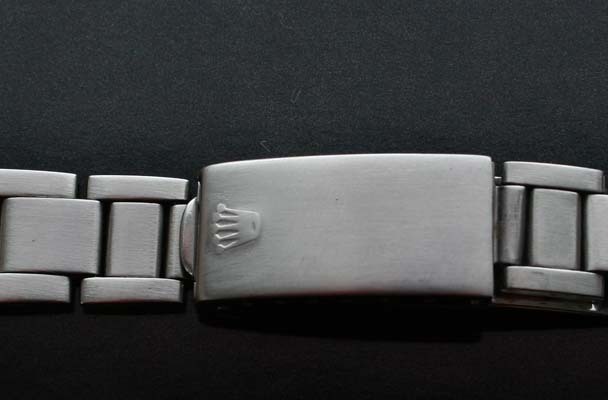 All 12 links are still fitted to the bracelet and the endpieces are numbered 357.